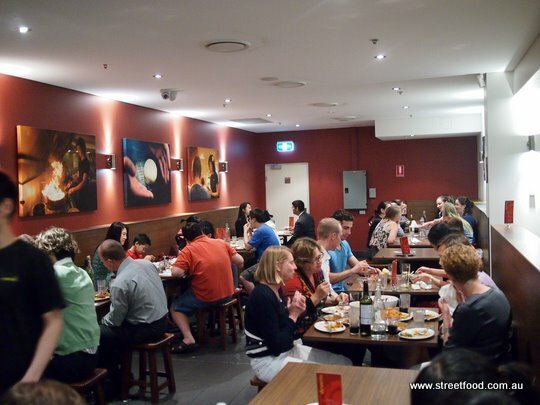 We expected Chatswood's new-ish "Eat Street" to be, well, a street of eating. We pictured something like Lygon Street in Melbourne or Jalan Alor in Kuala Lumpur. 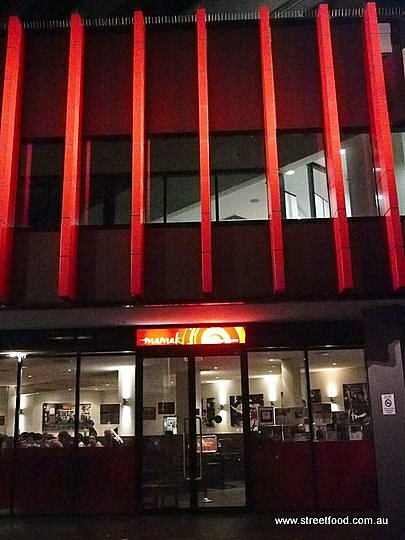 Or even Victoria Road in Chatswood. This Eat Street is kinda small, it's more like an Eat Carpark. But as far as culinary carparks go it's a good one. It's got Mamak and Crazy Wings, what else do you need? We start at Crazy Wings. Crazy Wings is soooo 2011, but we're generally a decade behind the times, so we're not doing too bad to get here a year after the big Crazy Wings craze. Crazy Wings specialises in food on sticks. All around Asia nothing says "party like it's 1999" like food on sticks. And folks here are partying like it's 1999, when this joint was a computer store. It's near empty and it's the sort of place that needs to be full to make the most of the party food. Which is a shame because the food was cheap and good, if a bit samey, as skewar joints tend to be. We're smacking our lips as the first serve of original wings comes out, man they're good. The cumin lamb kebabs are pretty good too. And we almost lost a finger trying to extract a pork belly skewar from a frothing Miss Von Trapp. And eveyone was quiet as we downed the quail. 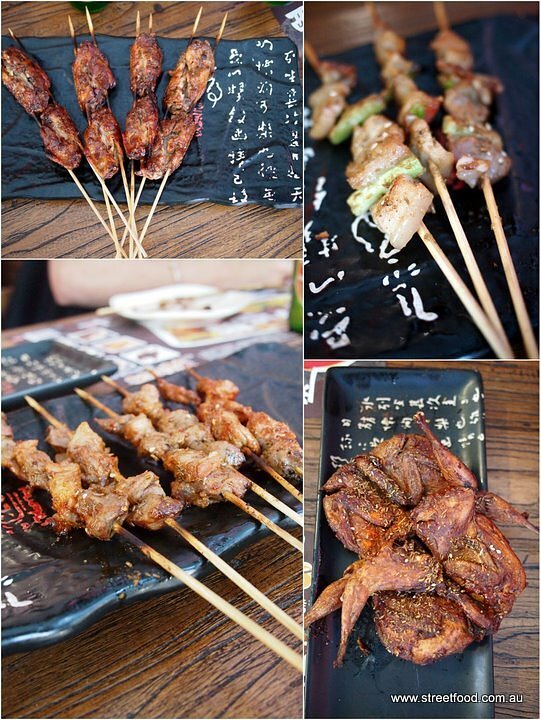 The mushrooms on a stick are Shawn's favourite for the night, juicy with nice bbq flavours. Alison orders the baked egg which arrives in a pie tin with some hoi sin sauce. Shawn insists on ordering garlic flavoured toast. Which tasted exactly like garlic flavoured toast. Only on a stick. And stuff on sticks taste better. Vouchers for 30% off our next feed. Now that's crazy. We could have left halfway during the meal and returned for the second half and used our vouchers. But it only cost us about $12 each (sans beers) anyway. Enough with crazy snacks, we hungry and we demand stodge. Hello Mamak. Mamak in Chatwsood doesn't quite have the vibe of Mamak in Chinatown but it's still cheery, packed and the food is just as good. 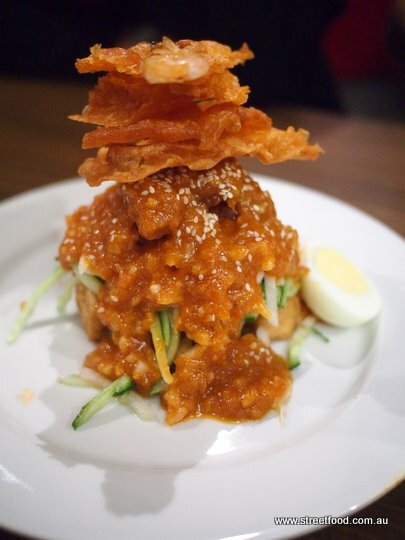 Rojak - $14 - the surprise hit of the night. 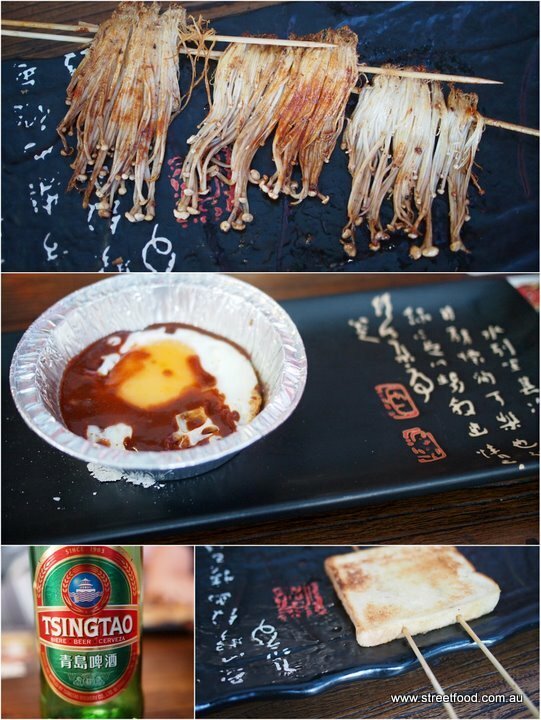 'Prawn and coconut fritters, fried tofu, hard-boiled eggs, freshly shredded yambean and cucumber, topped with a thick spicy peanut sauce'. An excellent mix of healthy fresh salad and artery loving lard. Yum. 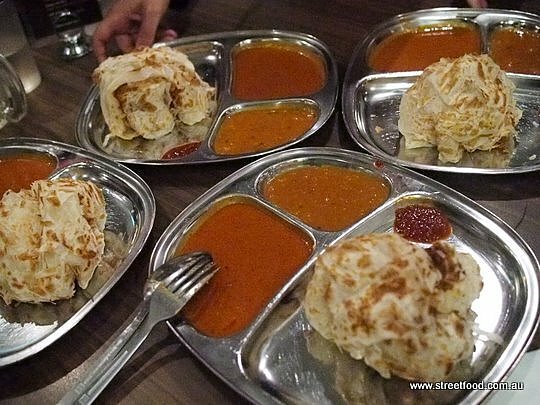 Roti canai - $5.50. Wow, even better than the roti we had in the city branch, so light and fluffy. 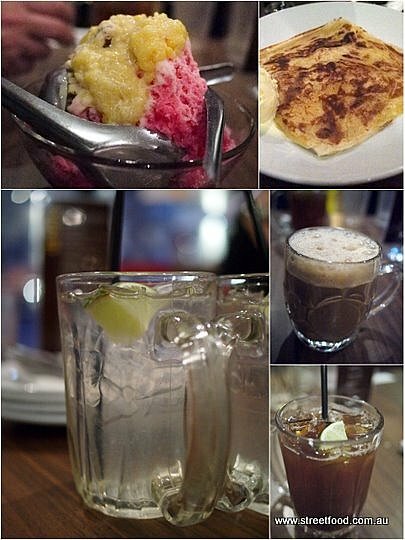 And we must admit it's even better than the roti we had in Singapore just a week before (though it wasn't one of the better roti joints in town). 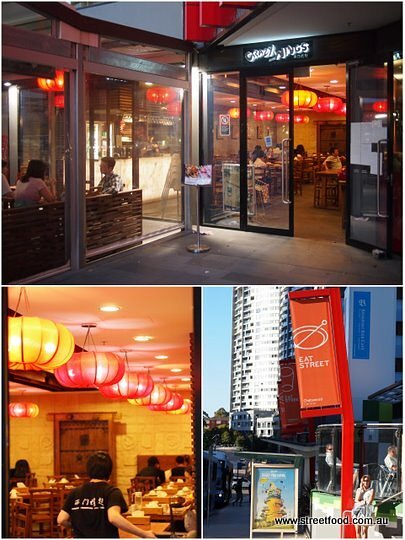 Mamak and Crazy Wings are at Chatswood Eat Street, 1-5 Railway Street. Shame Shawn accidently set his camera to ISO 6400 halfway through night - never drink and blog kids! You went to Crazy Wings without me? I'm crushed. But man I do love a good morsel of food on a stick...cos I'm so 1999! the line about the garlic toast made me chuckle.